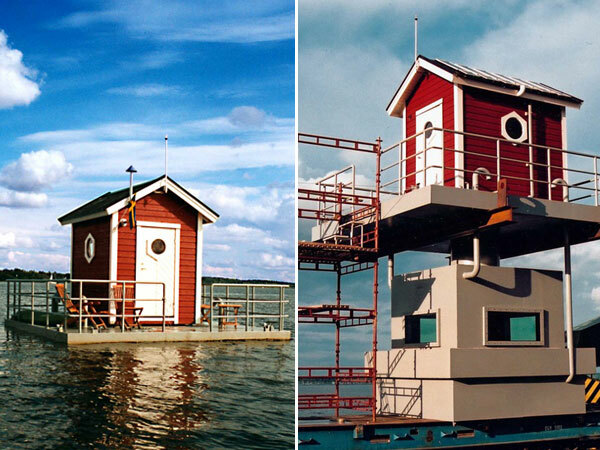 It’s a pleasure to introduce the Top 5 Unusual hotels in Scandinavia. If you have ever been to any of these please share your story in the comments below! Cheers! The Ice Hotel is located in Jukkasjärvi, which is at the northern Arctic Circle of Sweden. 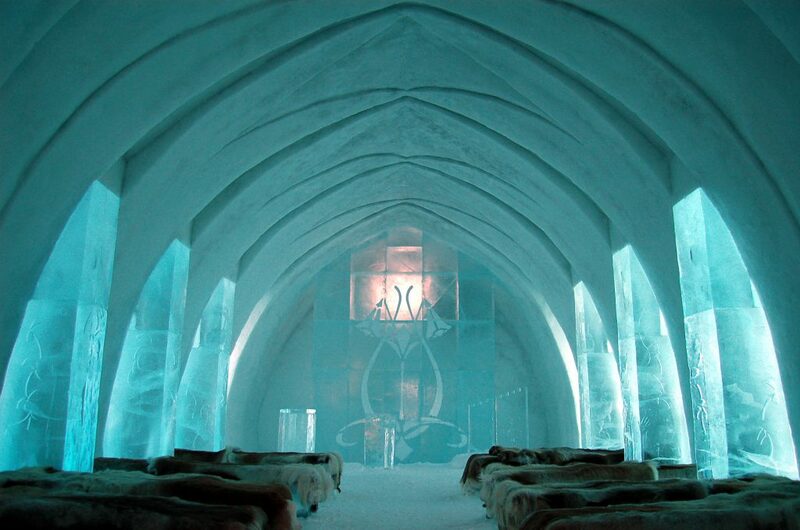 This ice-themed wonder has been around for 25 years and is the world’s largest hotel made of snow and ice. With a temperature of 5°C (23 °F) maintained throughout an area of 6,000m2 (64,600 sq ft), the Ice Hotel is truly a marvel. The frigid cold allows a team of builders and artists to maintain the rooms and amenities. Also, they gather snow and ice blocks from the Torne River to recreate fascinating sculptures, such as those seen in the vast main hall and reception area. This hotel features 100 individually-themed rooms. It also has 10 restaurants with unique architectural features, mainly due to the fact that each is assigned its own artist. The Kaklauttanen Igloo East Village is located in a mountainous village in Saariselkä of northern Finland. 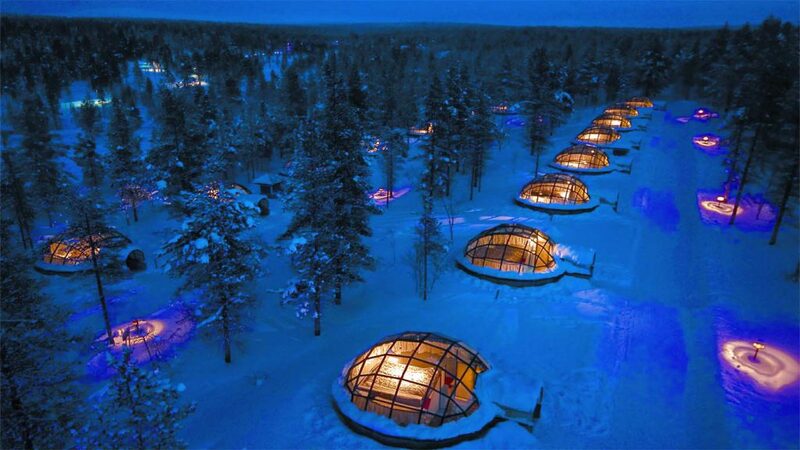 This arctic resort provides a clear view of the Northern lights in the comforting warmth of soundproofed glass igloos. The temperature sometimes drops below 40oF but the igloos’ special thermal glass keeps the temperature ideal for relaxation, as well as prevents frost from covering the view. The glass igloos are situated in a forest, with the snowy mountains serving as their backdrop. This is the perfect getaway for guests who dream of spending time in an unforgettable winter wonderland yet are not willing to give up both warmth and comfort. 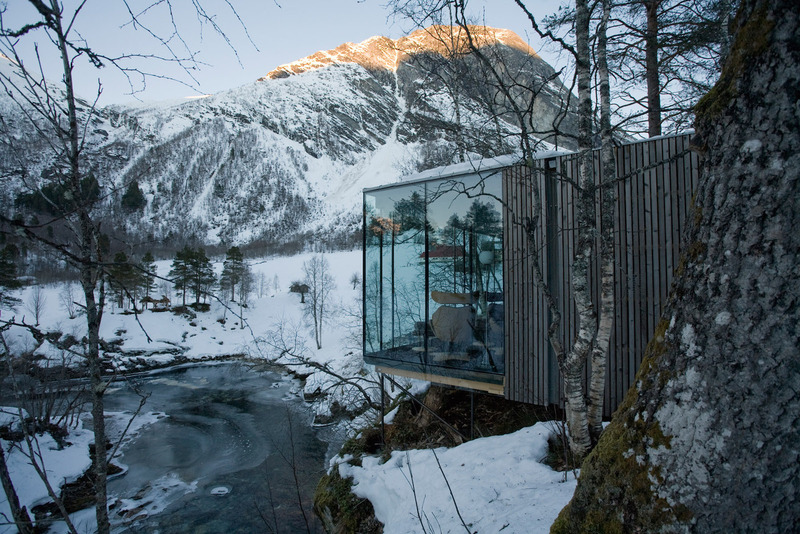 The Juvet Landscape Hotel is located in the small rural hamlet of Alstad, which is in Norway’s northwestern coast. With a striking view of the mountains and the river of Valdolla in the western fjords, this hotel gives its guests a chance to enjoy the captivating wilderness, the pristine forest, and the stunning Norwegian nature – all while maintaining a sense of luxury with its fantastic modernist interior design. The hotel features nine separate rooms, each offering a unique view of the landscape. And with a staff known for being helpful even to those who are complete first-timers when it comes to staying at faraway, non-mainstream vacation spots, Juvet is definitely among the best in the world of ecotourism. The Utter Inn is located in Lake Mälaren near the town of Västerås in Sweden. This is a floating underwater hotel with a single room that lies three meters below the lake’s surface. The room contains two single beds and a table. Of course, it also features one-of-a-kind accommodations perfect for a night underwater. It is an enchanting getaway that will surely please adventure seekers, given that they would essentially be left in a floating traditional Swedish house in the middle of nowhere. Utter Inn might also appeal to those yearning for a romantic evening, especially given the solitude that only it can bring. The Kolarbyn Ecolodge is located in the beautiful lake of Skärsjön in Skinnskatterberg. 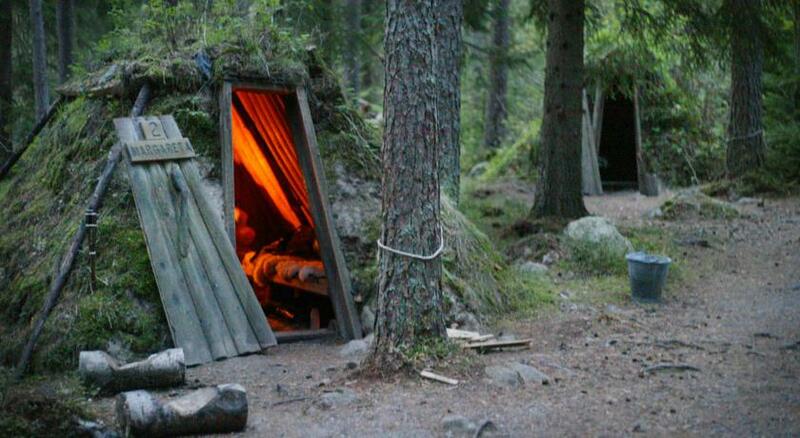 It’s known as Sweden’s most primitive hotel for its history and concept. This forest hut hotel is perfect for those who want an escape from the pressures of modern life in the city. With no electricity and running water, the Kolarbyn offers a challenging yet refreshing experience. Being surrounded by the forest, this ecolodge offers a wide range of outdoor activities such as fishing and hiking. Actually, it’s necessary to engage in such pursuits as you’ll be on your own. You will be chopping wood for cooking, and it’s also up to you to get water from nearby sources. 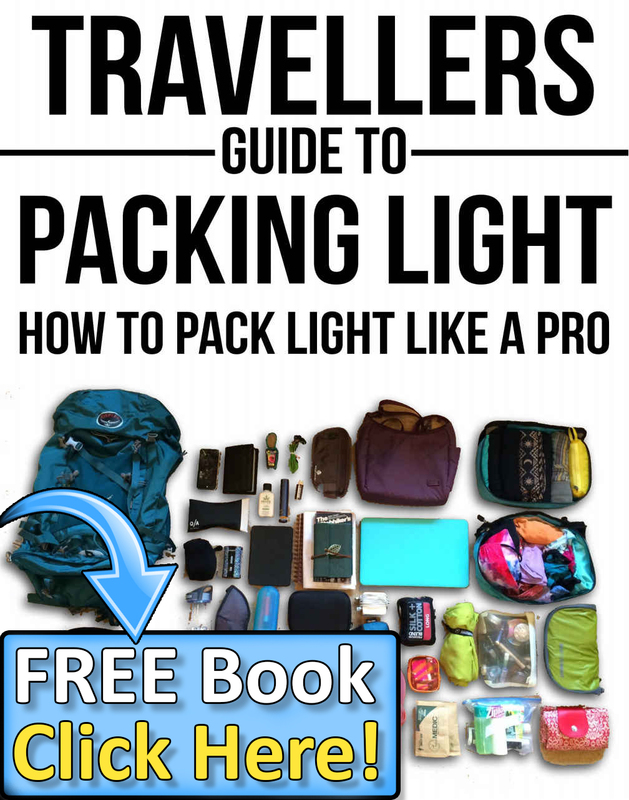 With no electricity, candles or traditional oil lamps are the only source of light during the night. The Kolarbyn consists of twelve little forest huts that represent the wonders of going back to the basics. 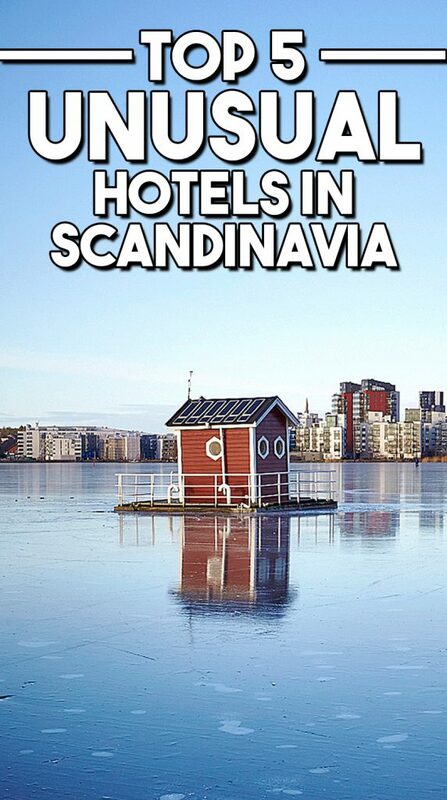 2 Comments on "Top 5 Unusual Hotels in Scandinavia"
Scandinavia is beautiful. If I wasn’t such a hot weather person I’d visit oftten. Love to hear more ideas for things to do in Scandanavia in summer. In particular Finland.